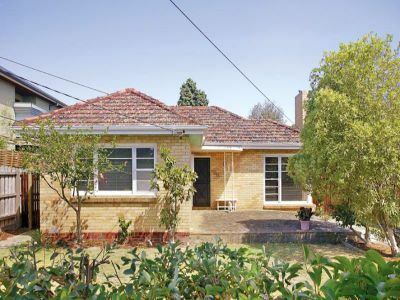 As you can see , this is a very stock standard 1950's style aussie brick veneer. One of the first initiatives was capturing rain water. Please see the article on Water tanks. Our second step was to remove the walls in the centre of the house. The kitchen, living and dining rooms were pretty small, this has really opened things up and made the house more livable. The project to remove the weight bearing walls in the centre of the house cost approximately 4k (we did our own painting). It made a huge dusty mess and it was not pleasant to live in the house when this was happening. The next question is what can one do you do with this sort of home to make it more efficient and water wise? After speaking to several folks in the know it was clear the the initial focus should be on insulating the ceiling and installing a solar hot water system. Given that there is very little storage here we initially thought of using some of the space in the roof for storage. After thinking about it some more we decided that the access to the space would be too difficult and there isn't really enough space to make the investment in a pull down stair case worth while. We don't like dealing with particle dust so we chose polyester insulation instead of fiberglass. It turned out there was 120 square metres of insulation required. Moorabin Timber/Mitre10 were out of stock of the polyester R3.5 Batts so a combination of R3.5 and R3 polyester insulation was used. We had a handy man install it. He took off some roof tiles in order to get the Batts into the roof. Once the wires for the motion detectors were in place it took about 2 hours to wire up and configure the system. It uses a SIM card (We used a $20 prepay SIM from Vodaphone- it is configured to be valid for 12 months without toping up). With the wireless SMS capability and the 12V battery for backup power, the system will still SMS us even if someone cuts the power and internet cable and phone line. The cool thing is we don't have to pay a $30-$50 monthly monitoring fee. This monthly money can go toward Green Power instead. Monitoring is a bit of a con because it can take the monitoring company 40 minutes to respond. With the system installed now we get an SMS and can ring the neighbor within a few seconds. The roof looks pretty over grown and the tiles are not looking too sturdy. It may end up that we have to do some repairs on the roof, possibly reinforce the area of the roof that will hold up the solar hot water system. We currently investigated solar hot water systems and have read a bit on evacuated tube systems, which claim to be about 40% more efficient than traditional solar hotwater systems. My family loves the water. At our last place we had a large gas heated spa which we used around 80 days a year. We would really like to innovate here. Perhaps linking the outdoor spa with a large solar hot water system. My partner won't go in the water unless it is warm to hot. It would feel great for the family to take a daily hot baths, using only water from the roof and heating only with the energy from the sun. We could save water like the the Japanese, wash before we go in the spa. The house was sold in July 2008. We are off to build a new home in Highett. This page was last modified 12:48, 12 April 2014. This page has been accessed 65,087 times.